Now that I’m pregnant, I’m seeing London in a whole new light, especially when it comes to tube travel. Despite their reputation, Londoners are, on the whole, nice! There have been incidents of complete selfishness by other tube users (pushing me out the way, challenging whether I’m pregnant enough to need a seat) but whenever it has happened, there’s been another 10 commuters there to stick up for me. 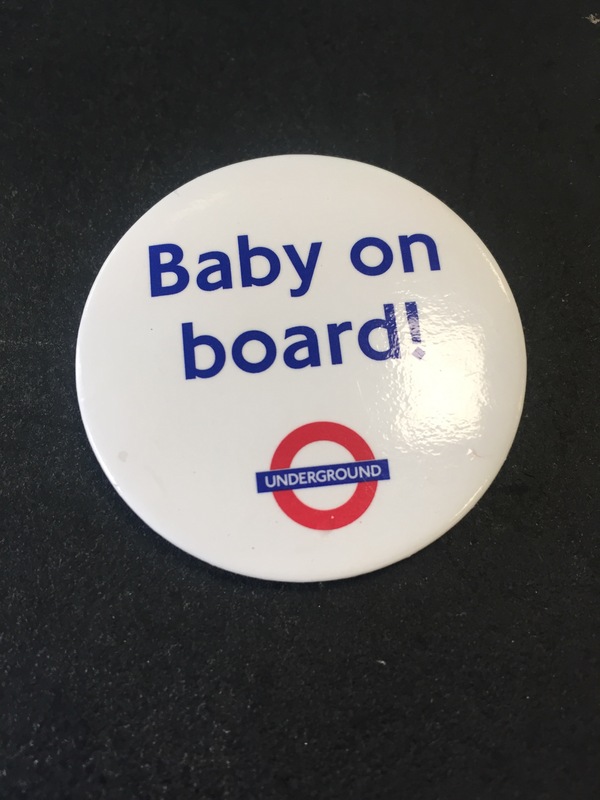 Baby on Board badges are an initiative run by TFL for pregnant travellers. They are as they sound – a badge which states that there is a baby on board. They are a great way of alerting people to the fact that you are pregnant and may need more space or a seat. The badges can be picked up from the ticket office or gate line at most big and a lot of smaller tube stations – just ask. You can also request them online but when I did this it took about six weeks to arrive! You may be bursting out of your maternity dress and wearing a baby on board badge but you can still guarantee that occassionally no one will notice and you’ll be left standing. If that happens then just ask if someone would mind if you sat down. Often people are too involved in their mobiles to have even looked up and notice that you are there, other times they’ll be purposefully ignoring you but it would take a particularly brass neck to decline if you ask! In my almost five months of pregnant commuting, I’ve only been met with hostility once when I’ve asked for a seat and when it happened, others were more than happy to let me sit down. I’m particularly bad for doing this. Commuting in London often feels like a competition of who can get up the escalator/down the escalator or on to the train first but slowing down will make the journey so much better. I still haven’t mastered this one but by the time I’m 8 and half months I’m sure I will have. It is quite likely that you do this anyway if you are pregnant but I can’t stress how important it is in London. 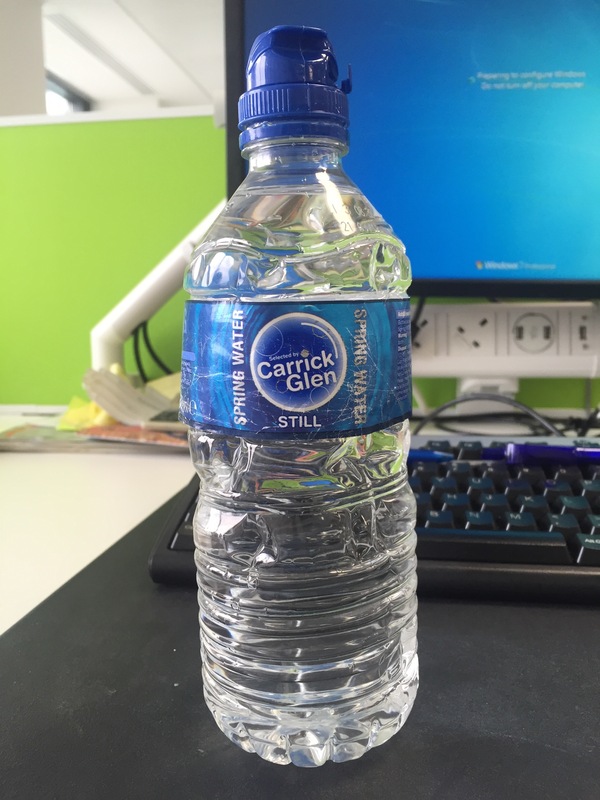 Even when it isn’t that hot outside, the transport system can get quite stuffy and I have often been grateful for the bottle of water in my handbag. In the UK we are advised to take our maternity notes everywhere with us. I have to admit that I haven’t been great at doing it yet but when I go on holiday later this month, I will definitely have them in my luggage. The reason for this is that if you end up in hospital for something minor or major on your trip, it is good to have your notes with you so the medical staff can see how your pregnancy has been progressing and whether there is anything they should look out for. If you are coming to London from abroad, I couldn’t stress this more highly. It’ll be far easier to translate your written notes than it will be if you have to try and explain some very technical pregnancy term in a language that you aren’t fluent in. Take breaks and accept that you might not see as much as you usually would on holiday. You might have lots you want to squeeze in but there’s no point making yourself ill and you may as well enjoy what you do see. What are your top tips for pregnant holiday makers visiting London? Share them below.